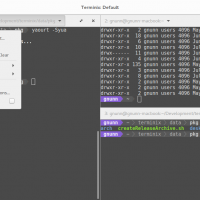 Today we will highlight an awesome app first introduced to us by our friends at OMGUBUNTU.co.uk – Terminix(now known as Tilix) is a popular, stable and nicely designed Terminal Emulator for Linux. 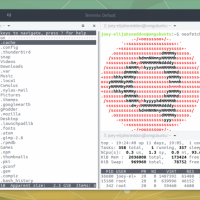 Some claim is it the best terminal app on the market, period and taking a quick look at it, most of us would agree. 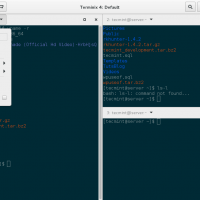 Let’s see what else makes Terminix/Tilix a good terminal emulator to try on your Ubuntu/Linux OS. 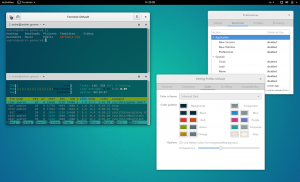 The application was written using GTK 3 and an effort was made to conform to GNOME Human Interface Guidelines (HIG). As a result, it does use CSD (i.e. the GTK HeaderBar) though it can be disabled if necessary. Other than GNOME, only Unity has been tested officially though users have had success with other desktop environments.